One of the functions of Numbers 33 is to remind Israel where they've come from and Rabbi Jonathan Sacks says what we have here is a reminder of what Nelson Mandela calls "the long walk to freedom." The walk is from slavery to promised land and freedom, but it's not a short and direct walk. 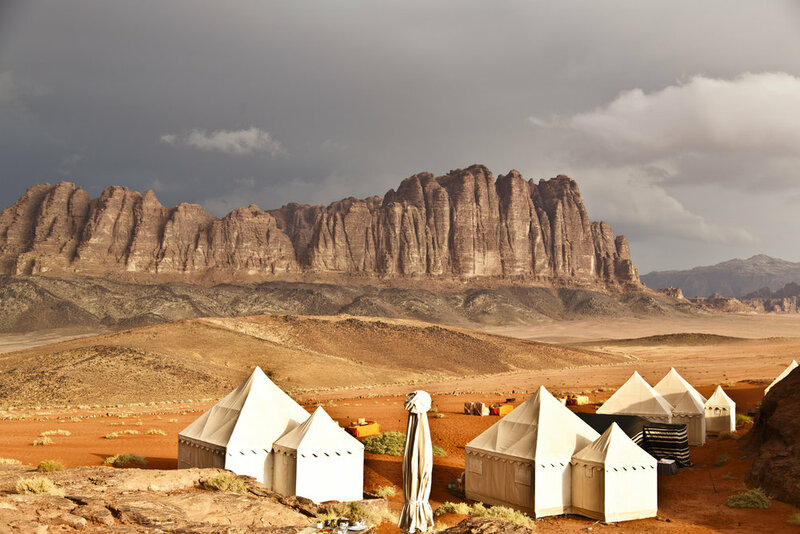 This listing of 42 camping sites begins back in Egypt. The walk from Egypt would have taken weeks in those days, and in fact Abraham made the trip, Jacob's family made the trip during famine years. It's not a super long walk, so why did it take forty years and why so indirect? Even in the Torah there are hints of why they did not take the direct route (Exodus 13:17). Rabbi Jonathan Sacks says the list in Numbers 33 is about the "many small journeys it took before people are ready to enter the land and begin to construct a society of freedom under the sovereignty of God." “They journeyed from X and camped at Y. They journeyed from Y and camped at Z” and so on – for forty-two stages. This is no mere reminiscence. Nor is it included for the sake of history alone. It is a way of reminding us in every generation how long it takes to reach the Promised Land. It has nothing to do with distance on the map and everything to do with self-control in the mind. Then Sacks draws from Jewish scholar Maimonides, who says the Torah works through "the cunning of history." Maimonides makes this point in the course of his larger argument that it is impossible in human nature to go from one extreme to another, from the established way of doing things to a completely new one. That is why the Torah does not propose a series of radical breaks with what the Israelites had become accustomed to in Egypt. The Torah works through “the cunning of history.” It produces its effect slowly and gradually. If so, then the forty-two stopping points on the way are a literary device to communicate just how many stages we must go through to get from here to there when the destination is liberty itself. The road from slavery to freedom is as long or short as it takes for people to develop the habits of responsibility for their and their children’s future. How many stages or steps from here to there will it take to move from slavery to liberty? Some of us have the luxury to speak of slavery as metaphorical, but humans are still trafficked and made to be slaves in our world today. When a refugee leaves a country to find freedom, how many stages of life will it take till liberty comes? I was talking with a woman named Vivian, a Vietnamese refugee who came the United States when she was fifteen years old. She had to leave her mother back in Vietnam and did not see her again for 15 years. She started in California, eventually moved to Tulsa, and was asking for prayers for her 21 families members scattered through the world. How many stages does a refugee have to go through to find freedom? What Numbers is teaching us – and it will be the theme of one of the most remarkable political documents in history, the book of Deuteronomy – is that freedom is not what most civilisations have thought it is. It is not primarily a matter of structures of governance – democracy versus aristocracy, oligarchy, monarchy, and the rest. Democracy can lead to tyranny; indeed Plato thought it always would. The most important guarantor of freedom is the “habits of the heart” of the people. Sacks concludes saying, "Parashat Masei [Numbers 33] teaches us that the walk to freedom is long, and there are many stopping points along the way. It needs not just miracles from God but also self-transformation by human beings. There is only one way out of the wilderness, and that is learning to be free, however long it takes." How long is your walk to freedom? What about the walk for the homeless person outside your office door? What about for Syrian refugees or immigrants now fearing to live in liberty in the "land of liberty"? How long is their walk of freedom? Will I be a person who is helpful in one of the stages along the path to freedom for humans seeking liberty? Sacks, Jonathan. Numbers: The Wilderness Years (Covenant & Conversation Book 4) (Kindle Locations 6045-6047). The Toby Press. Kindle Edition.